Standing in a store faced with a phalanx of bottles filled with extra virgin olive oil can be a befuddling experience, made even more complex this year by the bumper crop of California olives. That’s a good thing. However, stores often bunch the extra virgin oil – which is made solely from the fruit of the olive tree, not mixed with other kinds of oils, such as seed or nut, and is not subjected to heat, solvents or refining – into shelves crowded with oils of every description, imported and domestic. So, how is a consumer to choose? Succumb to a striking package design? Or be budget-minded and choose the least expensive? Acidity level and taste characteristics: The label should indicate a laboratory-confirmed acidity level of less than 0.5 percent if it’s California oil (0.8 percent is the international standard) and must be deemed by a trained taste panel to be free of defects and to possess positive olive oil characteristics. The words “extra virgin olive oil” should appear on the label, even though the labeling laws for imported oils are rather lax. Label phrases: The words “first cold press,” which often appear on labels, are basically meaningless. The term is a throwback to days when olive paste was spread on mats, which were then stacked and compressed to extract the oil. Modern equipment has superseded this method in most countries. Blocking light: Extra-virgin olive oil needs to be protected from light to prevent oxidation of the oil, which makes it rancid. The bottle should be dark glass; if the glass is clear, it should be in a box. Some producers are now using small metal containers that block out the light. Harvest date: Look for a harvest date on the container. It may be in small letters and hard to find. Often there is a “best by” date, but a harvest date is preferable. If you can only find a “best by” date, it should be no longer than two years out. Because the fruitiness of the oil will decline over time, use the oil within a year of the harvest date. Certification: A California-made oil with a seal on the bottle from the California Olive Oil Council certifying that it is extra-virgin means that the oil passed the necessary chemical parameters and was blind-tasted by a trained panel and found to be without defects. Country of origin: If the label states that the oil is a product of a certain country, that doesn’t necessarily mean that it was actually produced in that country. It could be a mixture of oils from different countries, some good and some defective, that was bottled in the country that’s listed on the bottle. Boutique oils: Just as small wineries often sell directly to consumers rather than through distribution channels, many California extra-virgin olive oils are not available in retail stores. Some small producers only sell their oil at farmers’ markets or online. In the best of worlds you can taste the oil before buying it. 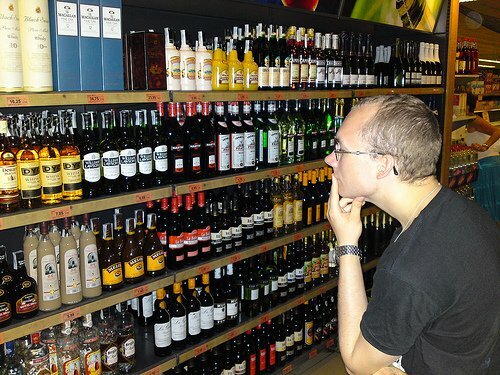 Some stores have tasting bars and others have a selection of bottles available for tasting. Storing and using: When you take your purchase home, keep it in a cool, dark place, not next to the stove and not in the refrigerator. Use it to cook and garnish food. Once the bottle is open the oil is exposed to oxygen, which degrades the oil, so use it quickly. Do not save it for special occasions. Extra virgin olive oil does not age like wine. 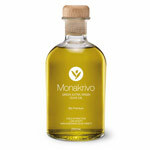 Many of extra virgin olive oils from the 2012 harvest have received medals at competitions. They’re available at some well-stocked grocers, specialty stores and online, but contact the producers for specific retail information. Help Support UC Davis Graduates!